// 1. sets LED Strip RGB color to purple. Change the values in the brackets to (255,0,0) for pure RED, (0,255,0) for pure GREEN and (0,0,255) for pure BLUE. 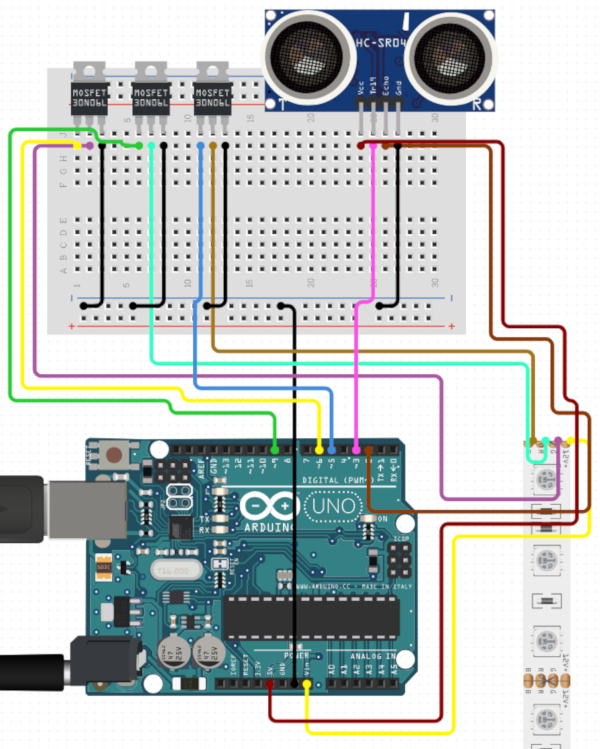 LedStripRGB.turnOff();        // 3. turns LED Strip RGB off (showing no color). Change the values in the brackets to alter the color. *    along with this program. If not, see .